If your looking to get some special VANS design in a truly dynamic way, then these are a must consider. 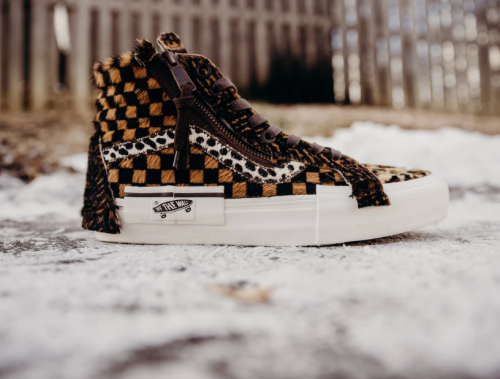 VANS deconstructed incarnations of their most beloved silhouettes pushing boundaries unexpectedly out of the ordinary with a distorted DIY, cut-and-paste treatment. These are a pony hair-inspired texture in bold graphic prints. Arriving in both brown and grey. Featuring exposed materials and irregular techniques these Sk8 Hi will set your sneaker collection to a beautiful unique level you can get HERE.